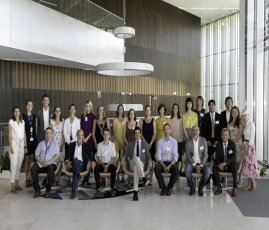 The Inter-American Association of Intellectual Property (ASIPI) participated in the last audit of the “Stakeholder Quality Assurance Panels” (SQAP) of the European Union Intellectual Property Office (EUIPO), held from July 4 to 6 in Alicante, Spain. On this occasion, the association was represented by Christian Duran, as one of the official representatives of ASIPI in the EUIPO. At this meeting, 14 auditors participated, representing 8 associations’ members of the “User Group” of the Office. The objective of this session was to evaluate EUIPO decisions based on absolute grounds, and to analyze the quality of said decisions according to the parameters given by the same Office. As part of the Strategic Plan 2020, these sessions seek to integrate EUIPO users in process of improving the quality management of the Office, based on their practical experience using the services offered by the same.